Aluminum upper frame and black melamine bottom provides an elegant backdrop to showcase your premium products. Showcase has glass top, sliding glass doors, 4 rows of adjustable 3/16 in. 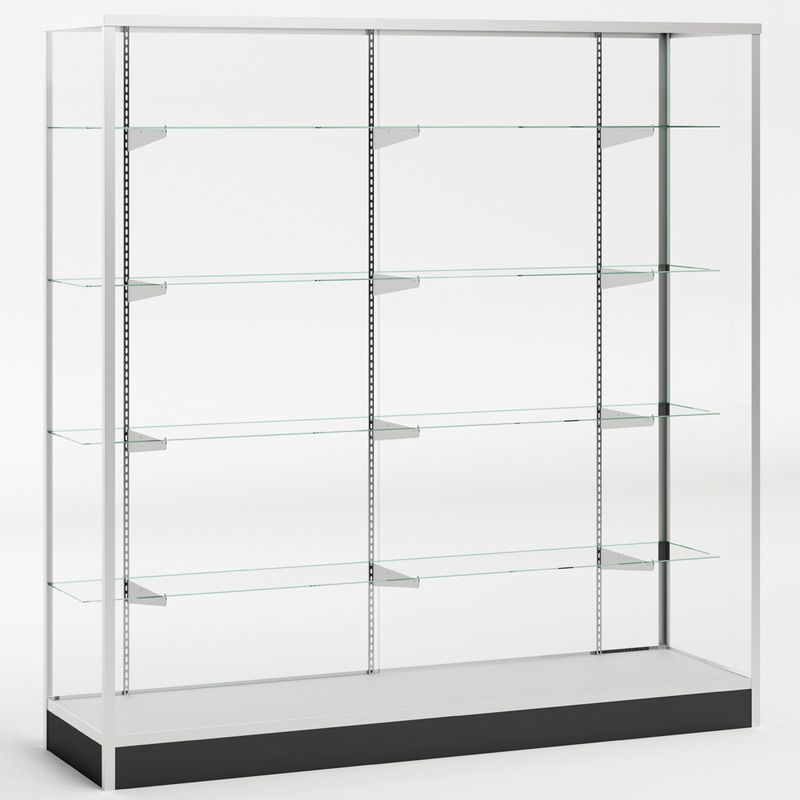 glass shelves, and includes heavy duty hardware. 4 in. black base. Shelves are 14 in. D. Lights are a great addition to highlight your products. Lights sold separately, search LED lights. For added security purchase a lock and keep your products safe, search item #9225. Assembly is simple and takes approximately 2 hours or we can assemble for you for an additional $75.00 per unit. Add item #1133 to your cart to have this item assembled.